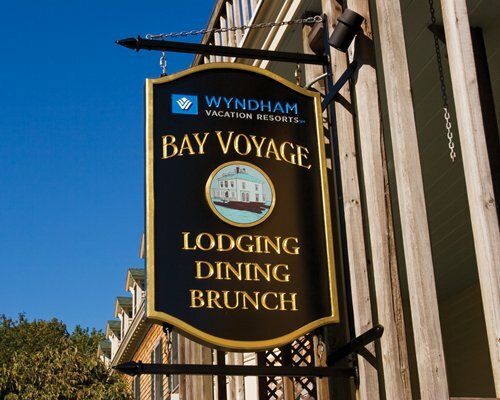 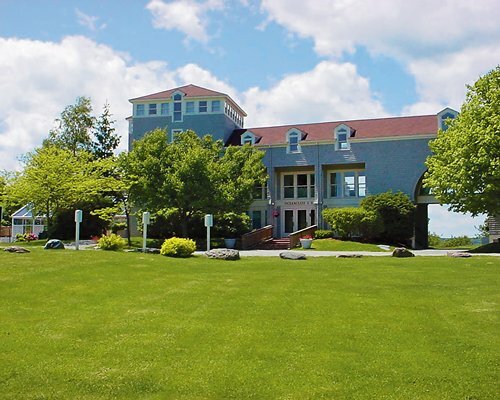 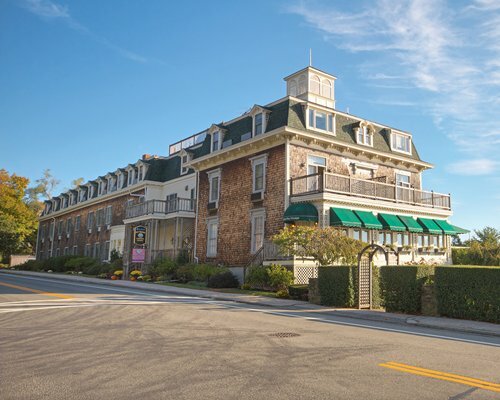 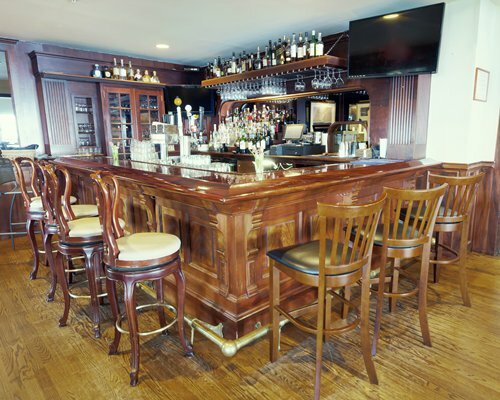 The Wyndham Bay Voyage Inn is everything you would expect from this private mansion turned Victorian-style resort hotel – including gracious service, a total of 32 tastefully appointed suites and dedication to the comfort of its guests. 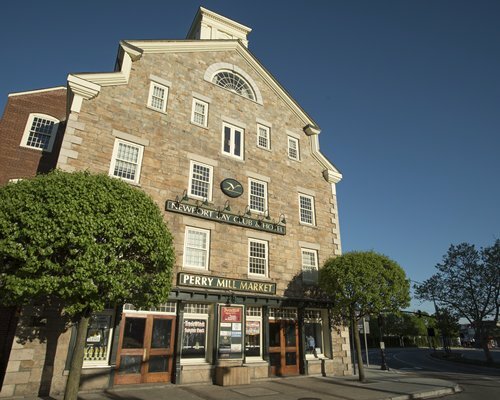 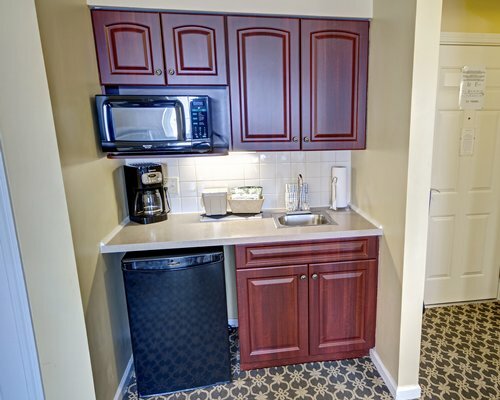 On-site amenities include an outdoor pool, an exercise room and laundry. 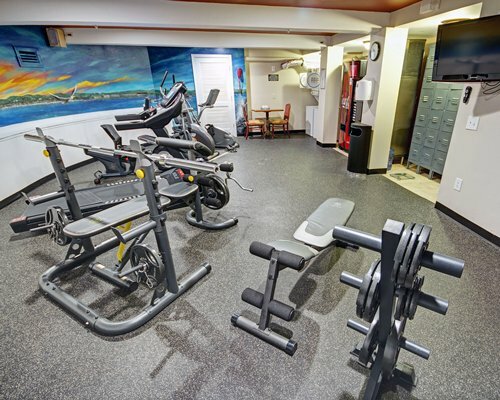 The facility includes elevators and is handicapped-accessible. 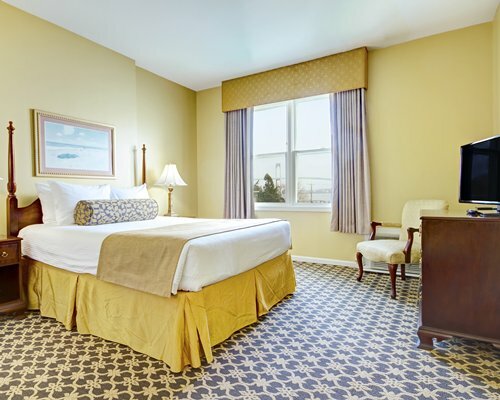 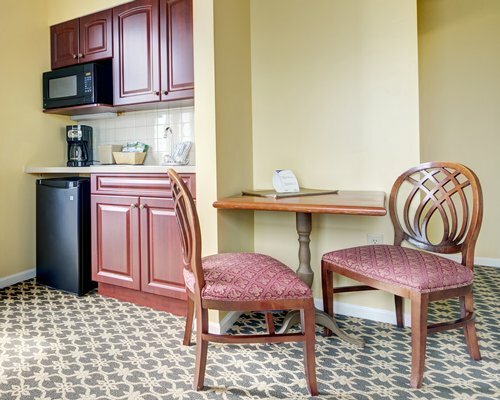 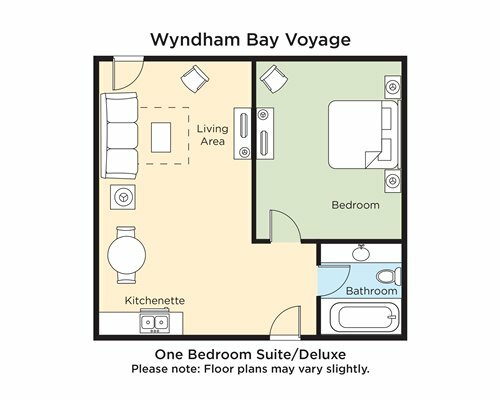 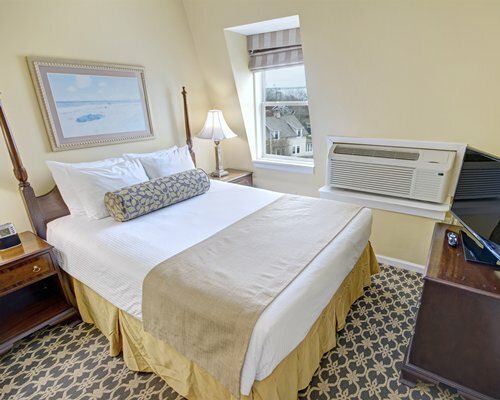 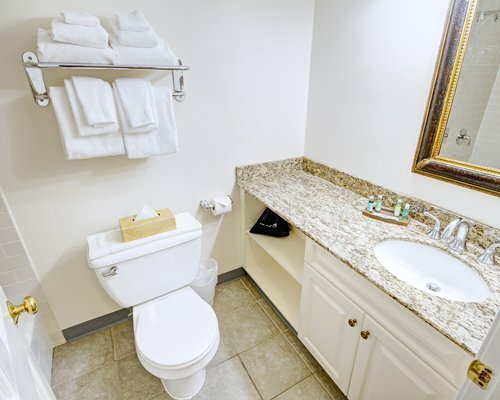 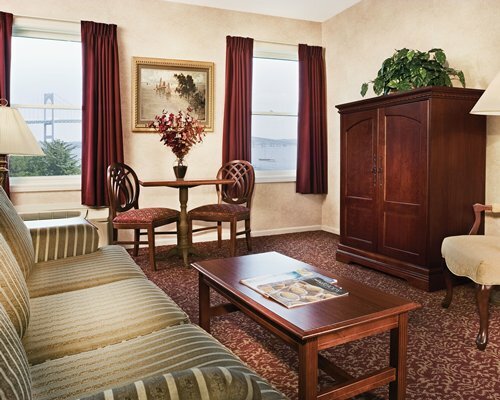 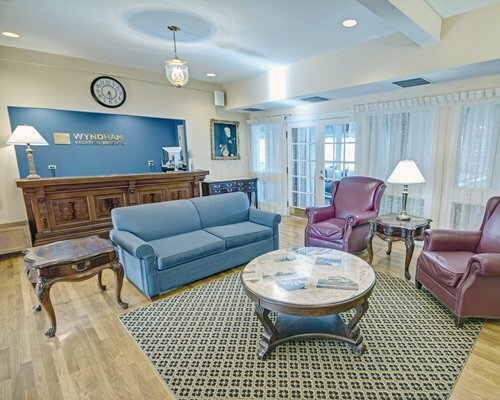 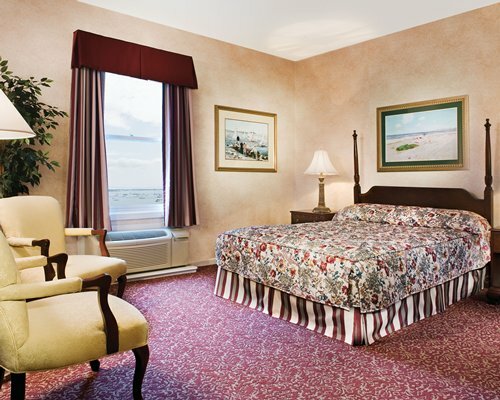 The units at the Wyndham Bay Voyage Inn are one-bedroom condos featuring traditional décor and include the amenities guests require for a comfortable and pleasant stay: full carpeting, telephone, air-conditioning and kitchenette with microwave. 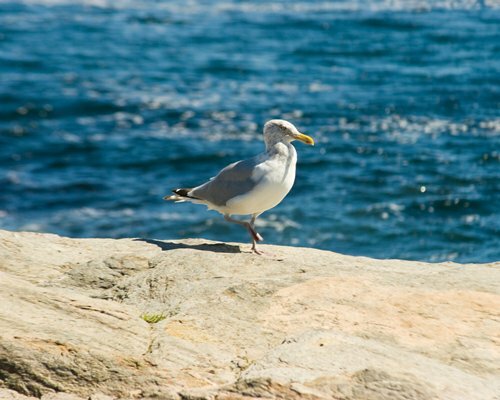 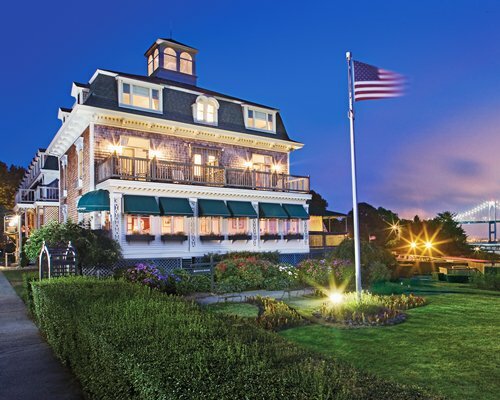 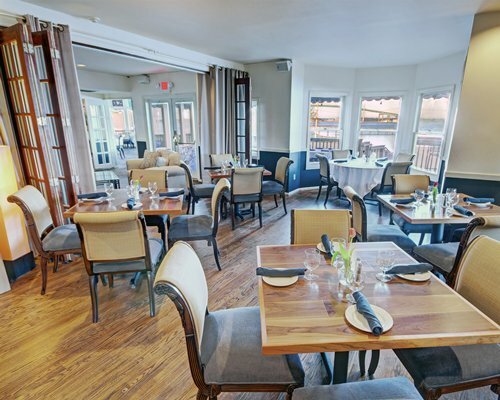 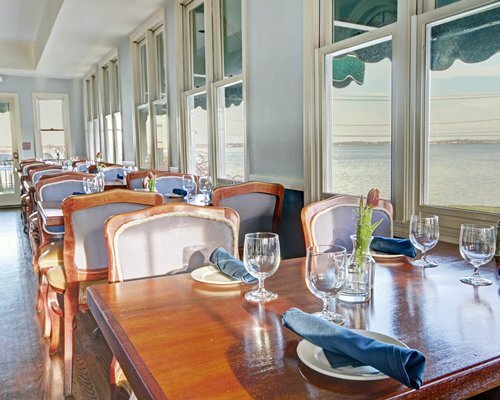 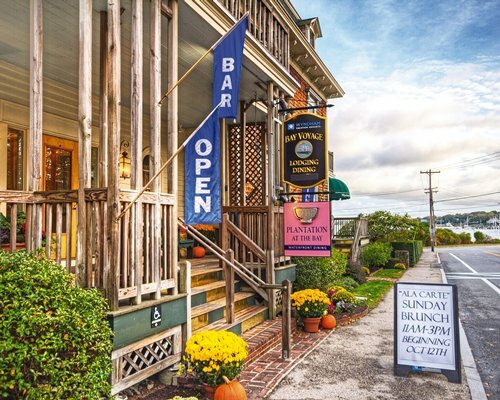 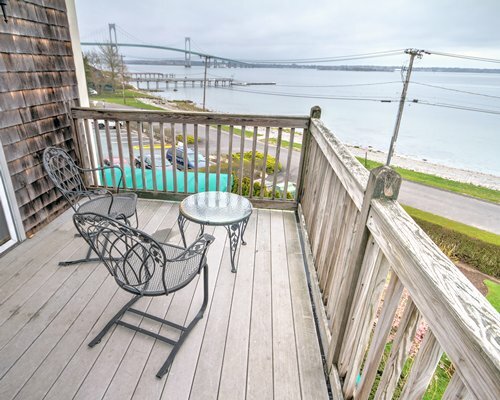 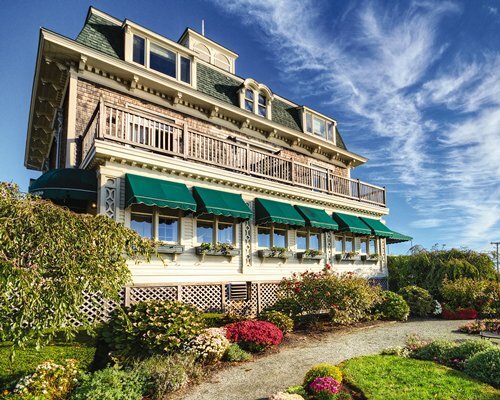 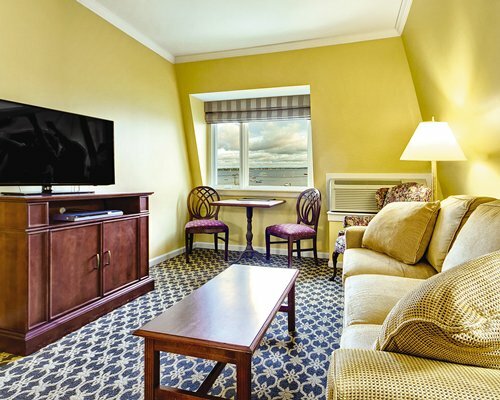 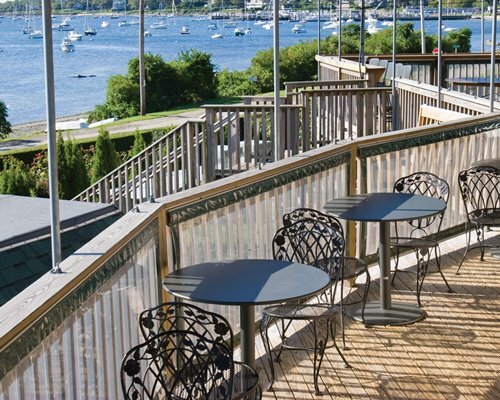 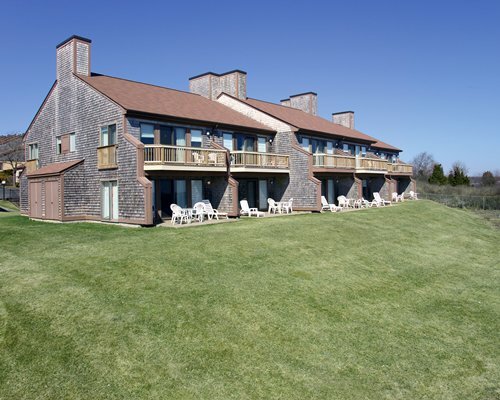 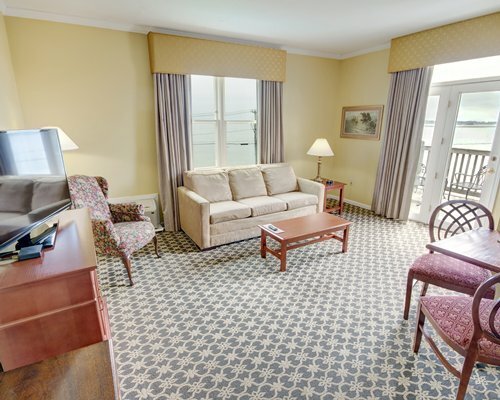 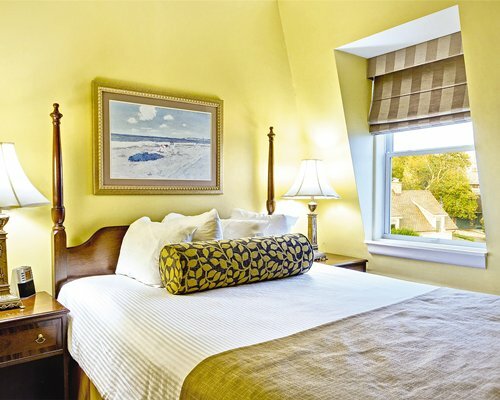 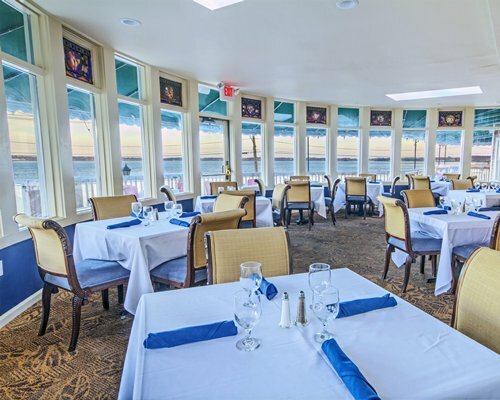 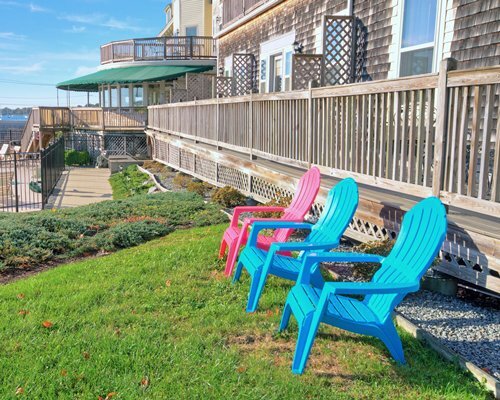 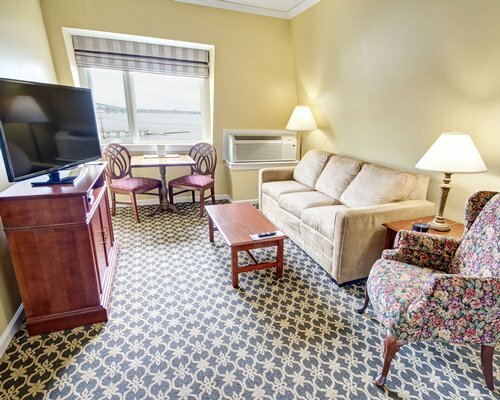 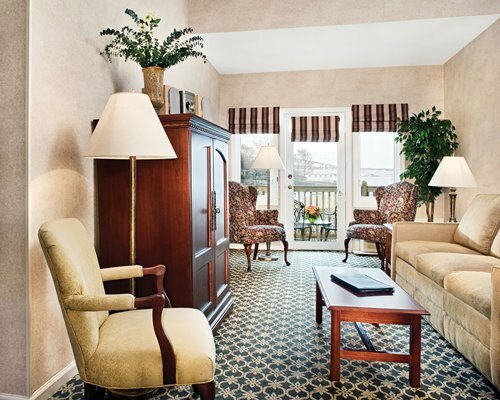 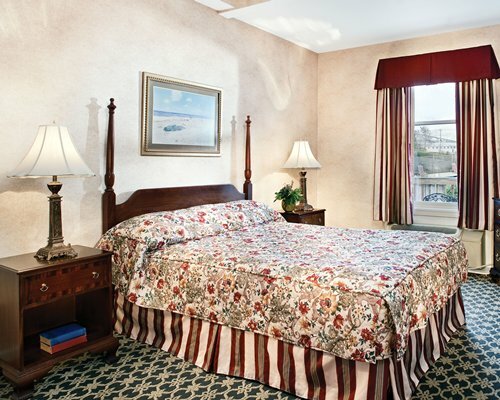 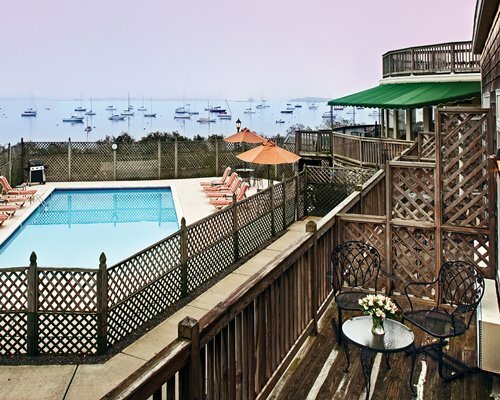 Many rooms come complete with a sweeping view of the glittering Narragansett Bay. 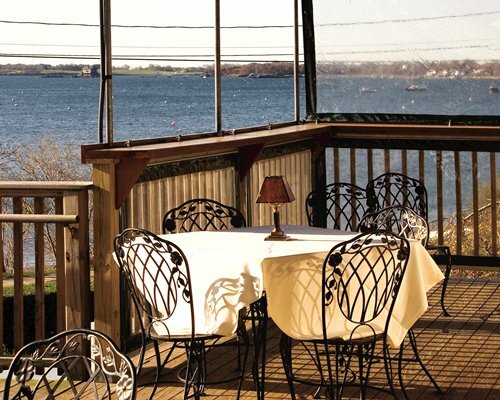 A toll bridge is used to access the area. 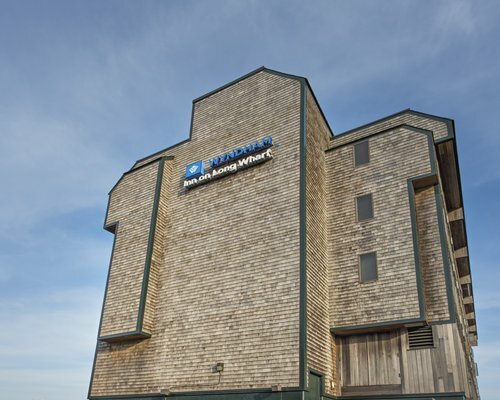 The toll is $4 one way each time. 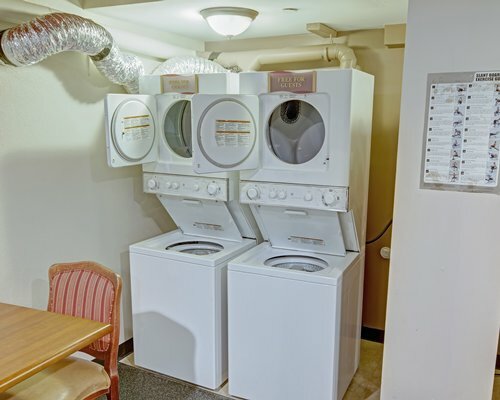 Standard units have a street view. 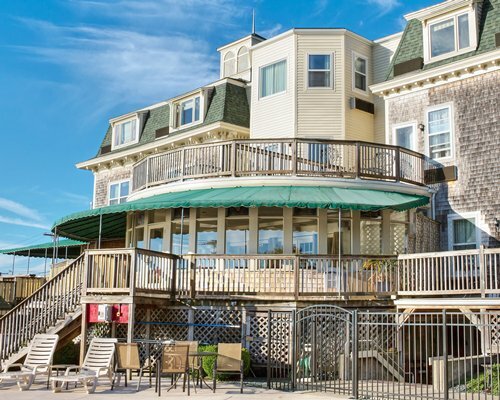 All others have an ocean view. 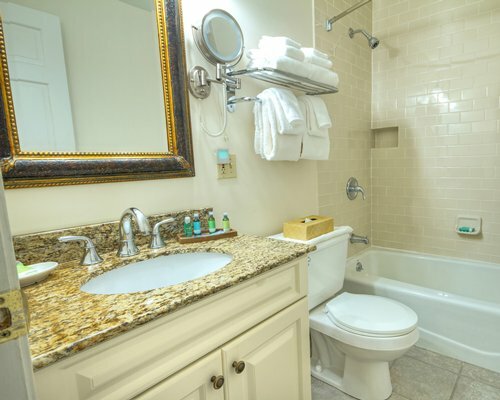 The vast majority of RCI units are Standard units.